Too Cool For School Dinoplatz Cinema City CC Cream has a cult following in Korea. Well, actually the Too Cool for School brand in general has quite a fan base! I’m actually, I can’t believe I’m saying this, not that big a fan of Too Cool for School. I’ve tried a lot of their products but I’ve failed to be impressed by them. But perhaps the Too Cool For School Dinoplatz Cinema City CC Cream will change my mind? Too Cool For School Dinoplatz Cinema City CC Cream is available in a single shade. It comes housed in a small 1 oz tube featuring a dinosaur and the Empire freaking State Building on the packaging. This, in fact, makes it too cool for school in my opinion. Dude, it’s a dinosaur and the Empire State Building, that’s freaking awesome. Too Cool for School has a lot of “Dinoplatz” products that are quite geeky if you’re into dinosaurs. I actually have the smaller size of the CC Cream but the full size actually contains a little domed blusher on the cap which my smaller size lacks. Unfortunately, that’s about the only thing I like about this CC Cream! Funny thing about Too Cool For School they are quite mid-range in price compared to brands like Holika Holika and Etude House which are cheaper. This CC Cream is near $25 and by Korean beauty standards that is quite high in price. Part of the main issue with this formula is the color. It’s available in a single shade and that shade doesn’t adapt well. 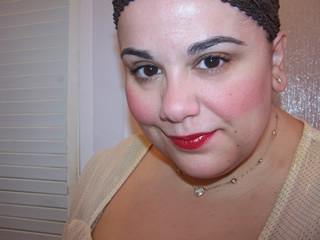 The shade is a near white shade of creamy beige which results in MAJOR pasty face. If it adapted correctly it would likely be a great brightening shade however, once applied I look like a ghost. It might do well for someone with super fair skin but a majority of skin tones likely can’t get away with this shade. The consistency is pretty thin and runny. It applies moist but it sets to a satiny matte which adheres to drier areas on my face so not only do I have a chalky appearance but also a rather gross, aging one due to the fact this sticks on all my drier areas. You really have to prep well because it tends to look cakey as hell. I typically apply CC Cream and go but some people use it to prep. I thought maybe that Too Cool For School Dinoplatz Cinema City CC Cream might prove a better primer but with BB Cream and foundation on top things look even worst so sadly, I couldn’t make do with it as a primer either. It’s funny as the coverage isn’t sheer but it isn’t a highly pigmented product either but still the shade itself just really mucks things up in a major way and well, honestly, the formula doesn’t really help either. Too Cool For School Dinoplatz Cinema City CC Cream gets a good deal of raves but for me this one is a pass. The combination of a poor color and a formula that sticks to every single dry area on my face really makes for a rather awful finish and look. This one is a big old skip. There are many, many CC Cream formulas with way better formulas in my opinion. I got this in a Memebox, and I wasn’t that impressed with it either. The color is definitely too pale, and I’m pretty fair-skinned. yeah 🙁 I dunno for whatever reason Too Cool for School products almost always disappoint me! Quality of the product aside, THAT is the shade I need!!! LOL! 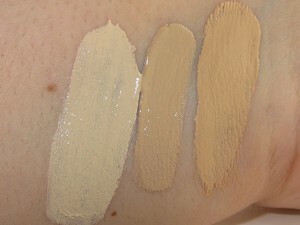 I’m so fair that the lightest color in most foundations isn’t light enough for me. I wish they all had this color choice! I’m trying to buy Too Cool for school products but they seem tricky to find…I found some on the ebay sites you weren’t thrilled about so I’m trying to avoid them, any suggestion? i love too cool for school. you must try out their egg products!